No matter what size your Business, we can provide you with a Workplace Kit to suit and cover your first aid OH&S requirements! No matter what size your Business, we can provide you with a Workplace Kit to suit and cover your OH&S requirements! 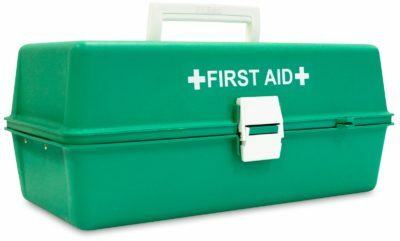 This ‘Standard Workplace kit’ meets all and exceeds some of the minimum requirements of the Code of Practice for First Aid in the Workplace. Thank you again for the great way you presented the course [Certificate IV in Training and Assessment] & for your professionalism, humility & candour throughout the journey. Very few times in life have I ever seen a person totally suited to their vocation, as indeed you are, your skill in delivery is as much an inspiration to me as the course itself.